Last time I shared my excitement of featuring some awesome workouts with you this week! Now, I’m definitely not asking you, “What’s your excuse [for not getting in some cardio]?” because I don’t know your lifestyle and weekly schedule so I don’t have the right to make that judgment for you…However, I would like to point out that if you already set some fitness goals and are trying to commit to a healthy lifestyle, then all you need to do is tie up your laces, get a jump rope, and step outside! Yup, it’s as easy as that. Or hey, you don’t even need a jump rope because you can just perform a bajillion high knees and call it a day—but then again….errrr who wants to perform that many high knees, right? Remember that as usual, it’s best to modify all exercises according to your physical needs and fitness level. Make sure to warm up and take breaks in between each move. And most importantly, please stretch those muscles like Gumby the scary green thingermajeeger man to avoid muscle tightness and possible injuries. 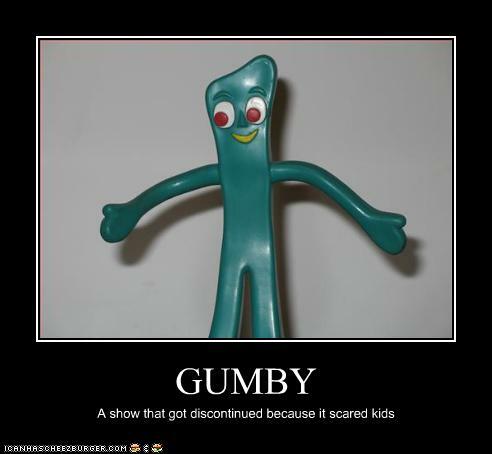 What is Gumby, anyway? A human wannabe? Even though jump roping doesn’t even come close to rocket science, there are a few things to keep in mind…and that is to keep your core tight and a straight posture because the fear of getting whipped with the rope tends to make you slouch a lot easier than if you were to jump without the rope, at least for me anyway. More than anything, have fun with it and kick that little voice telling you that you can’t do it to the curb! I find it that whenever I run out of breath and start to think, “just stop right after this jump, maybe you shouldn’t go any further because it’s not going to be a good workout anyway”, my body slows down. But if I prepare myself mentally and challenge my mind to persevere, then my body follows right along and I easily am able to finish my workout. When it comes to the health and fitness arena, I’m starting to be a huge believer of MIND OVER MATTER. Unless, of course, you need to listen to your body and you actually have an ailment to watch out for! On a slightly related note, I’m really hoping to improve and get good at jump roping. If Victoria’s Secret models and boxers can do it for conditioning, then I bet a million bucks I can. Ummmm well, it might take me a super long time but you get the point. Have a beautiful day and talk to you soon! If you use the jump rope, what kind of routines do you follow? Do you often find that your mind gives up faster than your body does? -Definitely! Especially when I run and used to write papers for school, hah!